Bartender: The Right Mix is an exciting cocktail mixing game. Your job is to work as a bartender. Pour, shake and serve. 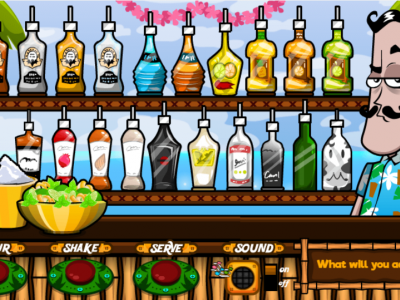 Choose a variety of drinks and mix them together to get a perfect cocktail. Note, if a wrong ration or wrong drink, drinks may be poisoned. Be careful!